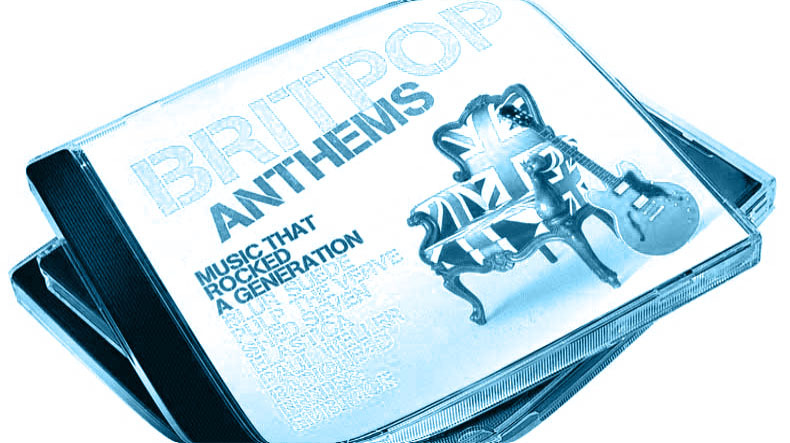 So… what do we know about Britpop? Huray – a reference that makes it into two songs. I was wondering if there would be any. Are there any others? Just out of interest Chris, if you’ve got all the terms planned out, how long will this excellent series last? So it’s a bit like QI… you have to wonder if they’ll get to Z before Stephen Fry succumbs to some smoking-related disease. The Paxman-like dissection of ‘Today’ presenter Evan Davis succeeds in proving that Britpop didn’t actually exist (also eliciting from Steve Lamacq one of the least coherent definitions in history of something the definer has made his living from for about 20 years). EVAN DAVIS: Bob Stanley (of St Etienne), explain what Britpop was, because the bands, like Blur and Oasis and Pulp, I mean they were quite disparate weren’t they? The common thread seems to be that they were British and Pop. BOB STANLEY: Yes, certainly to start with the bands were quite disparate …. Pulp sounded nothing like Blur who sound nothing like Oasis… But after a while, once the term got used, a lot of bands came along who fitted the demographic perfectly, who invented themselves to fit it, with classic one-word names like like Powder or Charlie or Pimlico, which were very sort of London-based. EVAN DAVIS: But that doesn’t make you a rock movement does it ? What is the defining feature of the music that makes it Britpop as opposed to Hiphop? BOB STANLEY: Well it’s guitar, bass and drums, it’s 60s based and grew out of the early 80s indie scene, which was alternative, and they took it mainstream. EVAN DAVIS: Can you do a better job at defining the qualifying features of Britpop Steve? STEVE LAMACQ: One of the main tenets was that you had an awful lot of big sing-alongs. It was (i) very much made by bands that were very much part of the audience, that lyrically seemed to talk about the things that the audience was interested in, and as it grew and grew Britpop became the sound of the jukebox and the terrace and so it was made up of a lot of bands who seemed to be able to galvanise the audience into singing very loudly. EVAN DAVIS: And Bob Stanley last question, does it still exist? BOB STANLEY: Well it definitely has an influence, and a legacy, and 6Music is part of that legacy. In all this Britpop hype on the radio this week by the way I just got reminded of something I’ve got in the attic, a framed industry silver disc from the band ‘Gene’ (don’t ask). Gona stick it on ebay at the weekend.